If you like those high collar style no tuck shirts that are made in Turkey of fine cotton fabric. You need Axxess shirts in your life. Axxess is a leading brand that makes those high collar club no tuck shirts that you wear un-tucked. 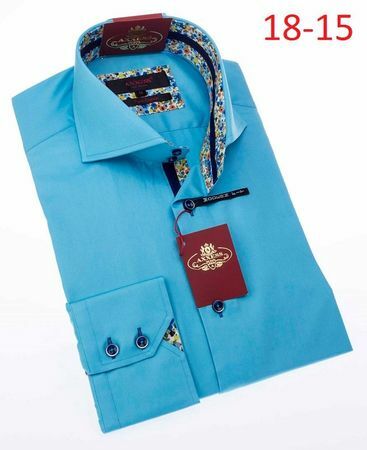 This all turquoise no tuck shirt has a high spread style collar and double button cuffs in a button down no tuck style that will look great and get you noticed. Made in Turkey. You'll be ready for the Club wearing this turquoise no tuck shirt by Axxess.